We launched the registration system on Oct 15 at 4:00 PM. Over the last 4 days, 99 tickets have been purchased. Following is the conversion funnel. Currently we are at 12.09% conversion. 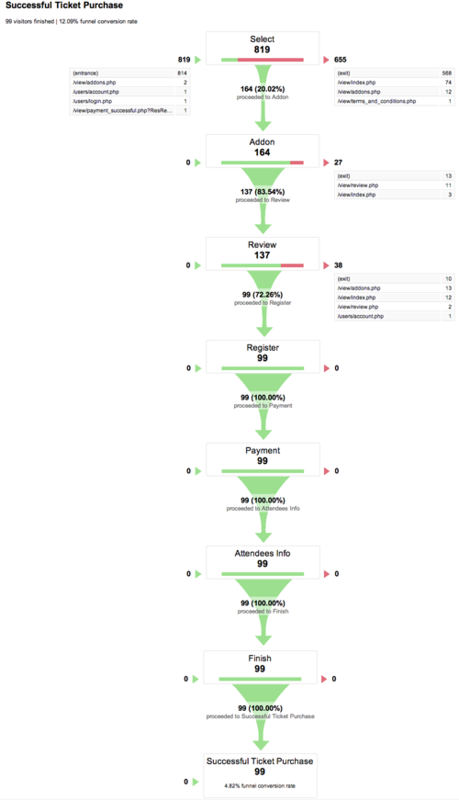 Looking at the funnel, do you have any suggestions of how we can improve this conversion? Ideally I would like to get to 20% conversion.